Beverly's Official Blog | News and findings from world of crafts, scrapbooking and more: Make-and-Play from "Build a Bear"! 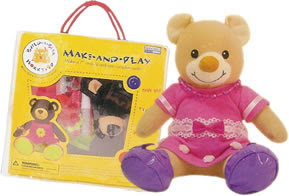 Make-and-Play from "Build a Bear"! 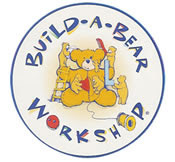 Make your own Beary Special Friend with these Make-and-Play Kits from the "Build-a-Bear" workshop. Each kit includes everything to make a 7" animal and complete outfit. Kits contain the classic bear, but we've also got a monkey and frog. Great gift idea!